Reconstructive medicine is a fast-developing field of cosmetic dermatology that, in its broadest sense, aims to restore the form, function and symmetry of the face without the need for surgery. This can be achieved by using medical injectables, muscle relaxants, and skin revitalisation. 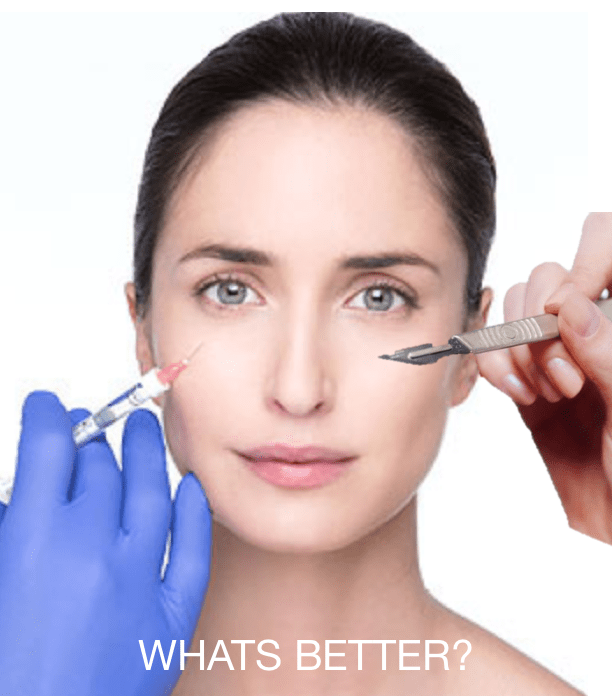 Anti-wrinkle injection and dermal fillers have revolutionised non-surgical facial reconstruction. Which is usually performed on people who have experienced traumatic injuries, or also in cases where there is genetic or degenerative asymmetry or injury of the facial features. Our face plays a pivotal role in our daily social interactions, through the expression of emotions, appearance and identity. The face is our carte visite, the place where our individuality and our personality are manifested instantaneously to people around us. It is understandable then that any permanent scarring, trauma or genetic asymmetry of the face caused can be profoundly debilitating for a person’s well-being and their ability to reach their full potential. Here at 23MD, we offer dermal fillers and injectables to those individuals who desire excellent facial rejuvenation results without the commitment of plastic surgery. Whilst both of these are non-surgical in their approach and use similar techniques, they require entirely different skill sets. Non-surgical Cosmetic Rejuvenation is the process of improving the overall appearance of the skin. This procedure is designed to enhance the aesthetic and texture of the face whilst also boosting the patient’s self-confidence. Non-surgical cosmetic reconstruction, on the other hand, is the process of partial or complete rebuilding of the face or body. This is usually performed if a patient has experienced a trauma injury, burns or a disease that has distorted the appearance of their face or body. It is also a popular procedure for patients with birth defects. The main aim of non-surgical reconstructive surgery is to restore symmetry, and proportion where possible in order to achieve patient satisfaction. Non-surgical reconstruction. Facial asymmetry due to accidental injury or Congenital Defect or ageing. At 23MD, Dr Kersh is one of the few doctors in London who recognises the art in layering treatments in a way to achieve natural looking results, whether she is rejuvenating her patients’ skin, reconstruction a deformity or revising an old scar, all without the need for invasive surgery. To book a consultation today or speak to one of our expert team get in touch today on 020 707 80302.